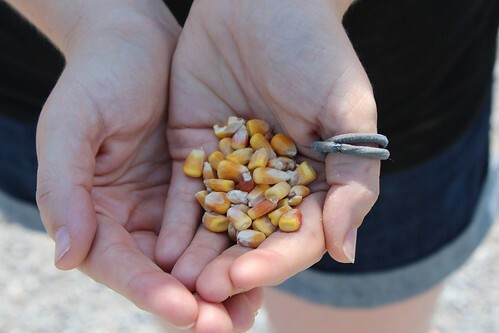 Back when I was a kid, I remember 25 cents filling up my mom’s hands with corn at Farmer’s Inn. These are apparently some hard times–the corn above is all that came out of the machine on our last visit. Poor goats.